When the apostles first began to spread the "Good News" of Yeshua (Jesus) into the world, the Holy Spirit instructed them… "NOT to preach the Word of God in Asia" (Acts 16:6-7). In the footsteps of this warning, the initial thrust of Christianity, as it spread across the earth went toward the west rather than the east! This had profound implications for the future, not the least of which was the fact that Christianity thereafter would be seen as western and be identified closely with western government. The Asia mentioned in Acts 16 could not be Asia Minor in general, because; Galatia, Phrygia, Pisidia, Lycaonia and Pamphylia (Turkey today) were provinces of it and in these the Apostles preached … afterwards they went and preached the Gospel with success in pro-consular Asia where the seven churches of Revelation were situated (also Turkey today). God chose to send His servants to another place, where He saw that the Word would be affectionately received …and probably those in the east were not as yet sufficiently prepared to receive and profit by it. In the footsteps of this warning, of NOT to go east, the initial thrust of Christianity, as it spread across the earth went toward the west rather than the east! Because the Holy Spirit directed the pathway of the spread of the Christian faith, it is obvious that the scattering of the people of God throughout ‘Babylon’ had defined spiritual limits which were known to God even though those borders were invisible to us. Yeshua (Jesus) came to Jerusalem like "the rising sun" because He was the "Son-light" of God. And, He followed the sun – "rising in the east and proceeding west!" History shows that this has been the course that the message of the Gospel has taken as it has been preached across the world. It started in the Middle East and spread north and west throughout Europe while its eastern course was blocked and thwarted! Five hundred years ago Columbus brought Christianity to the Western Hemisphere where it began to spread across the American continent (Jeremiah .25:22) …and today it is sweeping across eastern Asia coming "like the sun" full circle around the globe!" "For from the rising of the sun even to its going in, My name shall be great among the nations; and everywhere incense shall be offered to My name, and a pure food offering. For My name shall be great among the nations, says Jehovah of Hosts," Malachi 1:11. General Mac Arthur said; "In war there is NO substitute for victory!" We need to know our enemy if we want to be victorious and that is why we continue to teach on the subject of Islam since it’s the goal of Muslims, from day of conception, to rule, and conquer the world for their pagan god, Allah. However, just as King David trusted in God, we as believers should always do so too, as the battle is the Lords. "And David enquired of the Lord," 2 Samuel 5:23. When David made this enquiry he had just fought the Philistines, and gained a single victory. The Philistines came up in great hosts, but, by the help of God, David had easily put them to flight. However, when they came a second time, David did not go up to fight them without enquiring of the Lord. Once he had been victorious, and he might have said, as many have in other cases… "I shall be victorious again; I may rest quite sure that if I have conquered once I shall triumph yet again. Why should I wait to seek at the Lord’s hands?" Not so with David! He had gained one battle by the strength of the Lord and he would not venture upon another until he had ensured the same. He enquired, "Shall I go up against them?" He waited until God’s sign was given. We must learn from David to take NO step without God …and we must allow God’s guidance to lead us in these very evil and challenging times because God says… "I will instruct you and teach you in the way which you should go; I will counsel you, My eye shall be on you, Psalm 32:8. Muslims believe that the Islamic religion will eventually become the accepted single (one-world) religion of the entire world. According to Islamic history, by 711AD, much of what was the Old Roman Empire had come under the control of Islam. Islamic influence ran from Morocco to Persia and into Europe. At the height of the Ottoman Turkish Empire during the 16th and 17th Century, Islam had stretched over three continents …including North Africa, south-eastern Europe and the Middle East. The Turks also controlled Palestine and Jerusalem from 1517 – 1917. After World War 1 the empire declined and in 1923 it was succeeded by the Republic of Turkey. Muslims have since dreamed of restoring not just a single Islamic Empire under one leader, but they also want to avenge themselves of their military defeats that eventually came through France and Spain. Modern Muslims believe that their god, “Allah,” will make this happen in his time and his will. Fanatical apocalyptic Muslims, however, believe they are given the authority by Allah to kill the unbelievers and force Islam upon those who survive their jihad! In the time of Muhammad, the West was considered the regions now known as Great Britain, France, Spain and Portugal. But, with the rise of the United States as the leading economic and military nation on earth, the West has taken a new direction. When Muslims in the Middle East speak of the West the term has become more than one nation or region of the world. It includes Great Britain, Spain, France and of course America, Canada and even South Africa. If these Western nations formed the “body” then the United States would be the “heart.” Islam does not distinguish between state and religion as the West does with church and state. In devout Islamic countries the state rides on the back of the religion. The nation’s leaders must be Muslims, and the Islamic religion embraces the government, as the government is the mirror of Islamic law and tradition. When Muslims speak of America and the West …they perceive them as Christian nations, (South Africa, Australia and New Zealand included) whose governments are dominated with and controlled by wealthy Jews and Zionists. Since the goal of Islam is to make Islam the only true religion in the world then the West must be eventually defeated and crushed by jihad and terrorism or be converted to Islam! Islam has about 70 signs that indicate the “last days.” Some are major, and others are considered minor in nature. Some predictions are ominous and disastrous, including many cosmic signs and signs of nature similar to signs mentioned in …and obviously high jacked from the Bible. Christians, Jews and even Muslims consider; earthquakes, plagues, and wars as signs of the “Time of the End” or “Last Days.” Apocalyptic and radical Muslims long believed that the appearance of the Islamic “last Imam” or “Caliph” called the “Mahdi” would coincide with a civil war in the “lands of Sham” (Syria) which will destroy the country. In addition, Iraq will be engulfed with domestic military conflict. These apocalyptic Muslims also believe that this would be the end of non-Muslims and such Muslims should prepare the world for their 12th Imam, the Mahdi, who would establish a global Islamic rule and irradiate all who do not believe in the Quran. The Shiite Muslims believe that their Mahdi is the child of their prophet Muhammad …the hidden Imam born thousands of years ago and then disappeared to reappear when certain signs emerge …another copy and stealing from the Bible describing Yeshua (Jesus) Ascension and Second Coming! Anyone who rules the Islamic Republic of Iran, currently Khomeini, and the Islamic State (ISIS) currently Abu Bakr Al Baghdi, considers himself as the only true representative of the 12th Imam on earth as long as their Mahdi remains hidden! Ever wonder what Muslims believe their “Mahdi” would look like…? The Muslim Quran has little to say about this mysterious person, however, traditions developed in the 8th Century and later. While both sects of Islam; Shiite and Sunni teach their followers on their Mahdi …the Shiites have the strongest teaching believing towards the end of the world. They believe; He will have the disposition of Muhammad, have a bald forehead, high hooked nose, and have a distinctive mole which is a mark of a prophet and V-shaped aperture between his front teeth. If men do not submit to his teaching he will beat them into “submission” until they return to Allah. Of course those who rebel against him will meet a swift death by the sword of Islam. Many Islamic nations still behead their people and this is very evident in what ISIS and radical Islamic groups are doing in the Middle East and North Africa. Their Mahdi sounds evil and hideous! Muslims believe their Mahdi will unite the Muslim world… Bible prophecy reveals to us that the antichrist will bring ten kings under his subjection (Revelation 17:12). Muslims believe that their Mahdi will bring silver and gold to his followers …Bible prophecy reveals that the prophet Daniel predicted that the coming antichrist shall honour a god, which his fathers did not know with gold and silver (Daniel 11:38). Muslims believe their Mahdi according to some traditions, will rule for seven years … Bible prophecy reveals that the antichrist will come to his position early during the seven year Tribulation (Daniel 9:27). 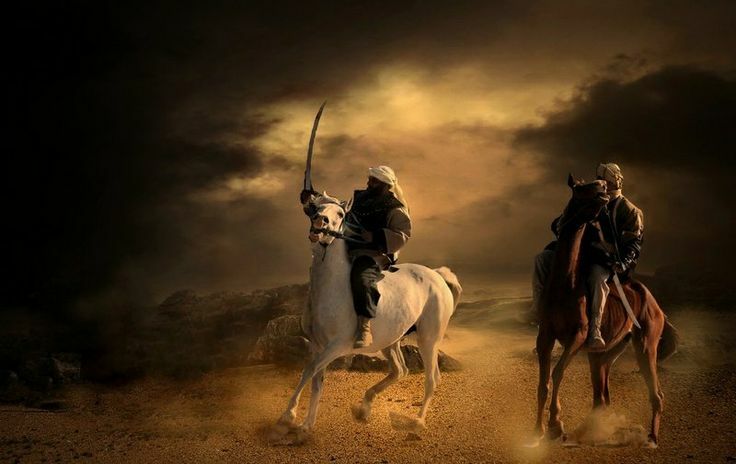 Muslim’s believe that according to Islamic belief that their Mahdi will take over Turkey … Bible prophecy reveals that Daniel states that the king of the North shall come against him like a whirlwind with chariots, horsemen and with many ships (Daniel 11:10). The king of the North during the Tribulation will be the nation of Turkey and will be in conflict with the antichrist. Muslims believe that Syria and Iraq will submit to the Mahdi. And, we believe there is a great possibility that the antichrist may come out of the area of Syria and Iraq which is the territory of ancient Babylon. Most Muslims believe that their Mahdi will come out of nations from the east … Bible prophecy reveals in Daniel 8:9 that the antichrist grew exceedingly great towards the east. 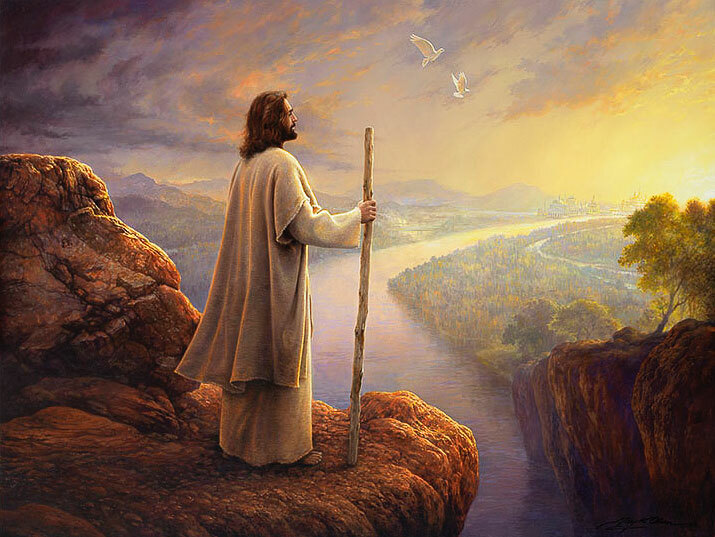 Muslims believe that after the appearing of their Mahdi, Yeshua (Jesus) would reappear and will march into Jerusalem following this Islamic leader, and also declare himself a Muslim and not the Son of God and will convert people to Islam. They believe this is when the Mahdi will kill the “swine” (Jews) and remove the “cross” and kill Christians …the Bible indicates that a “false prophet” will arise following the antichrist taking Jerusalem captive and both the antichrist and the false prophet will form a large religious following (Revelation 13:11-13). 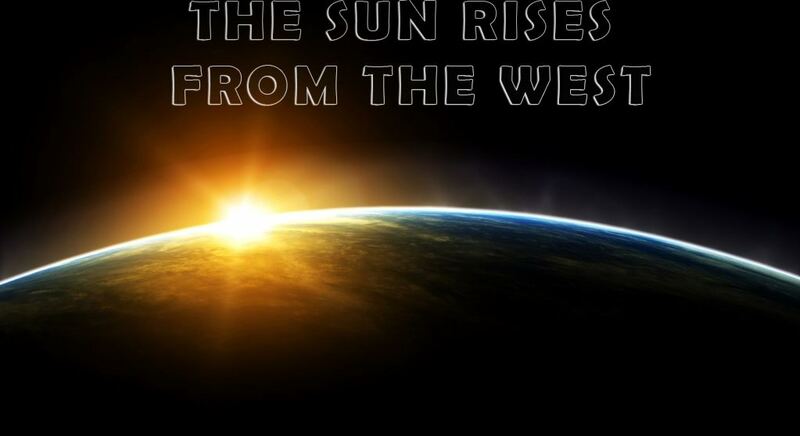 The Islamic prediction that the sun would rise from the West…. Listed among the major Islamic “end time” signs are, a rather strange, curious prediction, stating that “the sun would rise from the West!” “Allah’s apostle said, ‘the hour will not be established; till the sun rises from the West. So when the sun will rise and the people will see it (rising from the West) they will all believe (embrace Islam) but that will be the time when – no good will it do to a soul to believe them, if it believe not before, nor earn good through its faith (deeds of righteousness),’” Sahih Bukhari. There are basically three main schools of thought as to the meaning of this Islamic writings – Hadith. Their first and very common interpretation is… that the literal “sun will one morning rise in the West instead of the East.” Technically the sun can NOT rise in the West, and Biblically it is not even mentioned! As evidence that this could happen, some Muslims state that the planet Mars has shifted, and consequently the sun is now rising on Mars western side. However, their Hadith prediction says nothing about Mars. But, this is taught at mosques by some Imams (Mullahs) who also teach from their Quran another ridiculous belief that the earth is flat! (Quran 2:22) Obviously it would be impossible for the sun to rise in the West as the earth’s rotation causes the sun to appear on the horizon from the East! Their second interpretation is that… before the world ends, Islam will be spread and be received by the nations of the West. We can see that as Turkey has become a “gateway” for the infiltration of Islam into Europe. Traditionally Islam has been strong in the eastern part of the world, especially when travelling from northern Africa eastward towards Iraq, Iran, Pakistan, and Afghanistan and throughout the southern Russian states that were once part of the ancient Roman Empire. The “sun rising” indicates the spread of Islam from; the east to the west, which includes Spain, France, Great Britain and eventually the United States. The population of France is 66 million people with approximately 5 million being Muslim. Islam is the second largest religion in England and Wales with over 2.7 million Muslims. Europe is now increasing at an alarming rate as “so called” Muslim Refugees is streaming into the countries to infiltrate and conquer for Islam. Islam is growing rapidly in America and especially under the Obama Administration and figures according to PEW Research as at 2015 could now be as high as 3.3 million Muslims but some Muslim organizations estimate it to be about 7 million. To most Muslims the “sun” or “the light of Islam” is rising in the areas of the West with the spread of the message of Islam and the acceptance of their religion among the western nations. Their third interpretation is perhaps the most intriguing! Several years ago the head of the Nation of Islam, (an African American supremacist, anti-Semitic Islamic movement) Louis Farrakhan, was doing a Television teaching about the spread of Islam. The Nation of Islam’s national headquarters is located in Chicago and provides thousands of votes for any politician running for office in the Chicago area or in the State of Illinois. At the conclusion of Farrakhan’s televised message in 1996, and long before Barak Hussein Obama became president of United States, he quoted the prediction that the “sun would rise in the West!” Was he suggesting that a special messenger would rise in the West and help spread the rise of Islam into the minds of the Americans and into Western countries…? Was he suggesting that the “rising of their Islamic sun” would impact the West…? Is it a coincidence that the Farrakhan’s and the Obama’s were close neighbours in Chicago and in fact Obama and family attended a barbecue at the Farrakhan’s on U.S. Memorial Day in 2010…? Many Islamic scholars believe that an Islamic leader will rise from the West and bring many to their faith. In other words a Western Leader will pave the way for Islam to be received and accepted by many. Oddly, the very logo or symbol of US President Obama is a ‘sun rising in the West.’ Coincidence..? We think not, if anything we believe Obama knew the prophecy and thus, made his ‘icon’ around it. In Islam lying is permitted, applauded, approved - even to disavow Islam to deceive non-Muslims and is called “Taqiyya.” Muslims can deceive, lie, even pretend to be Christian and is all permitted by Islam! Turkey has been called the World’s Island, a central meeting point of three continents – Asia, Europe and Africa via the Mediterranean and over centuries was used as the passage way for invaders both going from West to East and from East to West. Today, Turkey is “the gateway” for so-called refugees from Syria infiltrating into Europe and the West with a planned invasion. Isn’t it ironic that U.S. President Obama is very cosy with the Turkish President Erdogan and that both their logos are similar reflect “the sun’s rising,” referring to the “sun rising in the west”…? Did Obama and Turkey know that ISIS was coming…? Significant developments of the 20th century… are the political and military awakenings of the nations east of the Euphrates River that have been slumbering for centuries, and are now beginning to stir and to become a major factor in the international situation. 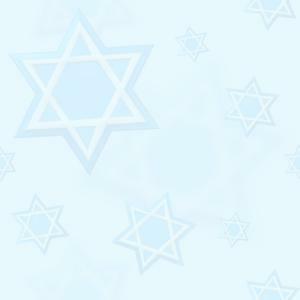 The great nations of Eastern Asia such as; China and Korea have had no important part in the history of Israel. Far removed in geography and interests, there is no record of any past war between Israel and the nations beyond the Euphrates. Alexander the Great penetrated as far as India with his armies, but he left no permanent imprint upon the Asian world. The future, however, in view of modern rapid communications, transportation and the world-wide character of any military effort in the missile age, will be a different story. Even at the present in China there are a small community of Jews that have for thousands of years been following the same age-old Biblical traditions just as the Jews do in Israel and also places in the world where God had dispersed them to. Scriptures rarely go outside the confines of the ancient Roman Empire in predicting future events. An exception to this is the statement relating to the ultimate re-gathering of the nation of Israel found in; Isaiah 49:12; “Behold, these shall come from far: and, lo, these from the north and from the west; and these from the land of Sinim.” Although it is not possible to be sure as to the precise reference of “the land of Sinim,” the general agreed explanation is that this refers to the ancient land of China. It is known that China for centuries was a great nation and had its own culture and extensive history long before Christ was born in Bethlehem. It is possible to trace some commercial relationships with China in ancient days as far as the Mediterranean and there is also evidence that some of the history of the Old Testament was known in China. One of the most familiar Biblical references to the Far East is related to the visit of the “Magi” as they brought gifts to the Christ child according to Matthew 2:1-2. It has been commonly held from the times of the early church fathers that these strange visitors, the “Magi,” came from the area east of the Euphrates and probably from ancient Persia (Iran). The Bible has clearly stated the nations that will come against Israel. Islam WILL be defeated on the mountains of Israel! Daniel’s Prophecy of a Military invasion from the Far East… In Daniel’s prophecy of “the Time of the End” beginning in Daniel 11:35, a king (antichrist) is pictured in the Mediterranean area who engages in a military conflict with the king of the south, the king of the north, and a military force from the east. In the period just prior to the Second Coming of Christ in the latter part of the great Tribulation, major portions of the world will rebel against him. This explains the military conflict with armies pushing against him from the south, the north, and from the east. In the prophecy it is stated in Daniel 11:44; “But tidings out of the east and out of the north shall trouble him: therefore he shall go forth with great fury to destroy, and utterly to make away many.” Although the information given is meagre, in the light of the context it appears that it concerns a military invasion from the east (direction is always from Israel) that will join the Islamic hoards as they push forward in their army to conquer Israel. But, that the conflict is not completely resolved, is borne out by the fact that at the time of the Second Coming of Messiah a great war is under way in which the armies are deployed over much of Israel, the Holy Land, with the valley of “Armageddon” as its focal point. Daniel, however, introduces a subject concerning which there is additional revelation given in the New Testament that lends support to the concept that Islam will have a place in the great world conflict of the End Time. Two important passages in Revelation 9:13-21 and 16:12-16 contribute to the conclusion that one of the large armies employed in the final world conflict will be a military force of great power which comes from the East where most of the nations are Muslim. The first is found in Revelation 9, where it is recorded that John heard a voice from the four horns of the golden altar which is before God, Saying to the sixth angel who had the trumpet “…to loose the four angels which are bound in the Great River Euphrates!” All the nations where the Euphrates is situated are Muslim, Turkey, Syria and Iraq. 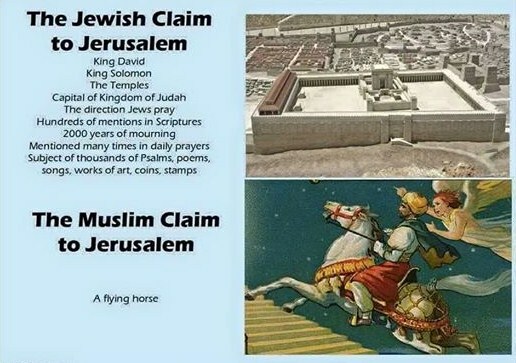 And, today where Turkey is flooding Europe with young Muslim men refugee’s …and this is where ISIS, Islamic terrorists are calling an “Islamic State” to form their 7th Century Caliphate by conquering the West with the “crown” prize Jerusalem! What does the Bible tell us where Yeshua (Jesus) the Messiah will come from…? It is important and exciting for believers to know as God wants us to be prepared! And, that He wants us to be aware of the events surrounding His Second Coming! The Disciples wanted to know what would be like at His Second Coming! “Tell us, when shall all these things be? And what shall be the sign when all these things shall be fulfilled? And Jesus answering them began to say, Beware that no one deceive you. For many shall come in My name, saying, I AM, and shall deceive many,” Mark 13:4-6. We can read the signs in Mark 13; Luke 21 and Daniel 9. Yeshua (Jesus) predicted the suddenness of His return. He said, “For just as lightening comes from the east, and flashes even to the west, so shall the coming of the Son of Man be, Matthew 24:27. And again He said, “...and then the sign of the Son of Man will appear in the sky, and then all the tribes of the earth shall mourn, and they will see the Son of Man coming in the clouds of heaven with power and great glory,” Matthew 24:30. Yeshua (Jesus Christ) return as the “rising sun”… There is a pattern in the Bible of astronomical symbols used as the arrival of God or His Presence. These as far as we have found always are in a direction from “east to west” and stopping in Israel when it is referring to an event on Earth. Two examples of this are the “Star of Bethlehem” and the “rapture at the end of the Church age!” The star of Bethlehem is said in; Matthew 2 to have appeared in the “east” and led the wise men to Bethlehem where the Christ child was so they could worship him. Although there are theories of what the “star of Bethlehem” actually was, it is undeniable that it went in a direction from “east to west.” The best and scripturally sound explanation of the “Star of Bethlehem” is the “Shekinah Glory” of God the Father’s Presence. This “Shekinah Glory” was shown as in the Lord’s leading the children of Israel at night in the wilderness (Exodus 13:21) and His dwelling in the “holy or holies” in the Tabernacle (Exodus 26:33; 29:43-46; 40:34) and Temple (2 Chronicles 7). At the coming of Yeshua (Jesus) for the Church, the “rapture” is referred to as the “Morning Star”… Of course the “Morning Star” refers to the natural object that is a picture of this namely the planet Venus rising in the morning …and going from east to west. The planet Venus, as the “morning star” after a while becomes more and more obscured by the twilight of the soon “rising sun” until it is practically totally lost in the light of the rising sun when it actually does rise. It is only three times that we find this title given to our Lord in scripture …once in 2 Peter 1:19, once in Revelation 2:28, and again in Revelation 22:16. In Peter it is rendered in translation as “Day Star,” and indeed the word is not the same as that found in Revelation as “Morning Star.” But, the word used by Peter is the proper name of the morning star, and means the “light-bringer,” while that used by John, equally applying to the “morning star,” indicates rather the time of its appearance in the early morning. Whether one or the other therefore, both alike refer to the same thing, and both alike apply to Christ in the same character. Christ the “bright and morning star”… The morning star is very solid light - “…the same yesterday, today and forever,” Hebrews 13:8 …and “I am the Lord, and I change not,” Malachi 3:6. 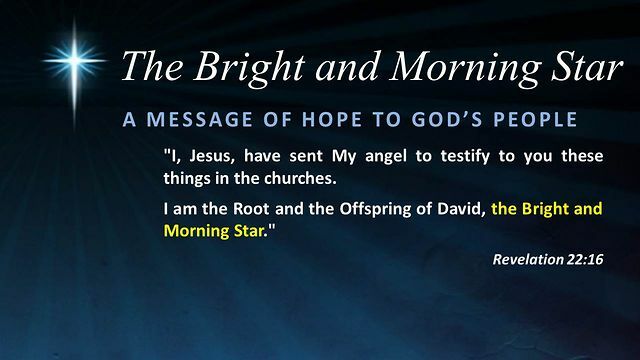 The “bright morning star” is the announcer of the “rising of the sun.” Here is the greatest truth… as Morning star it speaks about the “secret coming” of the Lord for His church referred to as the “rapture,” which is the harbinger of His “open coming” which we call as the “Second Coming!” “When the Sun of righteousness will come with healing in his wings,” Malachi 4:2 and in Psalm 49:14; “The upright shall have dominion over them in the morning.” We read in Romans 13:11-12; “The night is far spent, the day is at hand.” Also look at Proverbs 4:8. The “Morning Star” is also known as “Evening Star”… So the same star is the beginner and the end of the day. The Alpha and Omega; the first and the last; the author and finisher of our faith - Revelation 1:8; Hebrew 12:2. The Morning Star isn’t hindered in its course by mists, fogs, clouds or dark vapours. Nothing can obstruct its motion. The “rising sun” in the Bible sometimes called the “dayspring” refers to the coming of Yeshua HaMashiach (Lord Jesus Christ) in power and great glory at the end of the 70th week of Daniel or the “Great Tribulation” to set up God’s Kingdom. This is a fulfilment of God’s promise of the “Messianic Kingdom” in the line of King David of Israel. It will last for a 1,000 years and will be a time of people of all the nations and Israel giving glory to God with Him ruling personally in the person of Messiah over all the Earth from Jerusalem. He will come to set up His Kingdom and His glory will dwell in the “Millennial” or “Messianic Kingdom” Temple in Jerusalem according to Ezekiel and the Gospels. Yeshua said that His second coming will be “as the lightning that shines from the east even to the west”…and is referring to the same event as His coming referred to as the “rising of the sun” …and they are both in the direction from east to west. The main point Yeshua (Jesus) was making in this case is that His coming would be clearly unique and different from the appearance of false Christ’s or false Messiahs that will be fairly common and convincing in the Great Tribulation or 70th week of Daniel. Other scriptures give more details that at His coming to set up His Kingdom on earth and His feet will land on the “Mount of Olives” and will then proceed to Jerusalem through the “Eastern Gate” or “Golden Gate”… “And His feet shall stand in that day on the Mount of Olives, which is before Jerusalem on the east, and the Mount of Olives shall divide from its middle, from the east and to the west, a very great valley. And half of the mountain shall move toward the north, and half of it toward the south,” Zechariah 14:4 …directly into the then Jewish Temple on the Temple Mount. “And he led me to the gate, the gate that faces eastward. And behold, the glory of the God of Israel came from the way of the east. And His voice was like the sound of many waters. And the earth shone with His glory. And it looked the same as the vision which I saw, even according to the vision which I saw when I came to destroy the city. And the visions were like the vision that I saw by the river Chebar. And I fell on my face. And the glory of Jehovah came into the house by the way of the gate whose view is eastward. And the Spirit took me up and brought me into the inner chamber. And behold, the glory of Jehovah filled the house,” Ezekiel 43:1-5. It will be a glorious time for all believers as we read in Zechariah 14:1-11 …but for (unbelievers) nations that come against Jerusalem; "And this shall be the plague with which Jehovah will strike all the peoples who have fought against Jerusalem. Their flesh shall rot while they stand on their feet, and their eyes shall rot in their sockets. And their tongue shall rot in their mouth," Zechariah 14:12-15. When we read further Zechariah 14:16-21 we find the importance of the "Feast of Tabernacles" when all those who have survived after the Lord has struck them will come together in Jerusalem to worship the King, Jehovah, and the Lord of Hosts! This will be a glorious occasion for all true believers! All true believers of God’s saved people in this age both from Jews and Gentiles (the nations) as well as the holy angels will join with Yeshua (Jesus) in His coming as the "rising sun" from the east …to set up His Kingdom as in Revelation 19. From these Scriptures we can see that there are a number of references to the coming of the Lord to set up God’s and His Kingdom on Earth. This is also the Kingdom promised to David in his line from which Yeshua (Jesus Christ) traces His genealogy through. The above Scripture references make clear some basic things about the Messiah coming to set up His Kingdom as "the rising sun" …God will establish those then on Earth who had trusted in Him and His Anointed One Yeshua HaMashiach (Jesus Christ) for salvation, that His Kingdom will cover all the Earth. Our Lord’s coming will be very dramatic from Heaven …to distinguish His from all the false Christ’s or Messiah’s, false religions …and that His coming then will be from east to west. God is in control and we are His beloved!